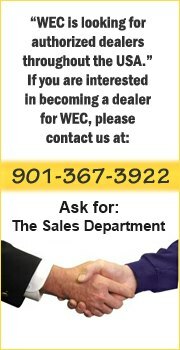 WEC Manufacturing is your One-Stop quality manufacturer and distributor of metal lockers for all types of applications. 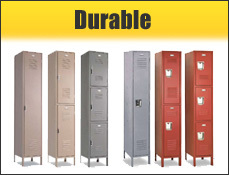 The Durable line is the embodiment of what it takes to withstand the daily use and abuse typically given to a locker. 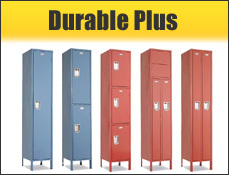 The Durable Plus locker is ideally suited for corridors and situations where the locker is likely to encounter harsher than normal usage. 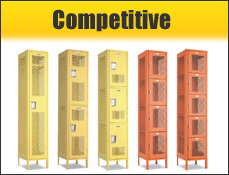 The Competitive lockers are more attractive and durable than ever. Doors are made from heavy 14 gauge steel. 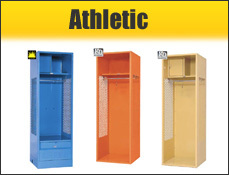 Athletic lockers are ideally suited for athletic team rooms, fire fighter’s equipment or any other application. 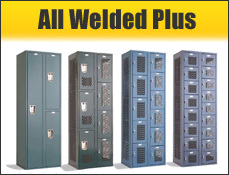 The All-Welded Plus Lockers give you a choice between our traditional K.D. locker lines, and our All-Welded setup lockers. 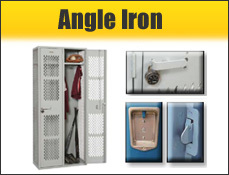 The Angle Iron Locker is built within a 1" x 1" x 1/8" angle iron frame. Diamond perforated doors and sides offer a high degree of air flow.